SERVPRO of Midtown Manhattan understands the stress and financial burden associated with property damage. Our highly-trained staff works tirelessly to minimize the burden of property damage on the home or business owner. We do this in several ways, firstly you will be assigned a dedicated project manager who will be your primary contact. Your project manager will ensure the complete and through the restoration of your home or business and is available to you 24/7 to answer any questions and address any concerns you may have. Our friendly office staff also works to minimize the burden on you by working with your insurance company directly, minimizing your stress and time spent on your property damage claim. SERVPRO of Midtown Manhattan prides ourselves in our ability to manage our client's property damage restoration needs. 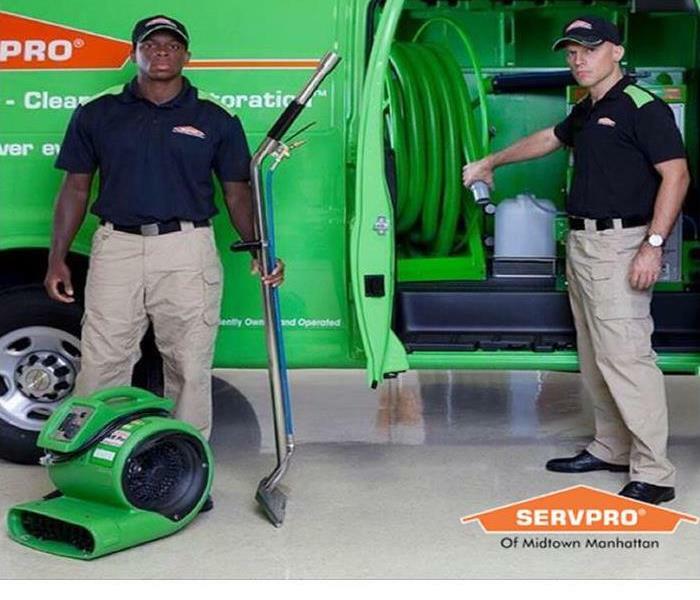 SERVPRO of Midtown Manhattan is locally owned and operated—so we’re a part of this community too. We are also part of a national network of over 1,700 Franchises, which enables us to respond quicker with more resources. For major storms and disasters, we can call upon special Disaster Recovery Teams strategically located throughout the country.